Pressed with less bow and a very high spline, the dramatically profiled new X harks back to our pre-bow Praestantia, now reinvented with current all-encompassing pressing. A contemporary rework of a traditional shape, the set of the pronounced oval handle is slightly further forward; the balance between blade and handle is exact. The blade feels indulgently and deceptively soft but it has still had serious pressure and very careful pressing. The combination of the traditional face and high spine creates the greatest core in the range, and absolute controlled power. 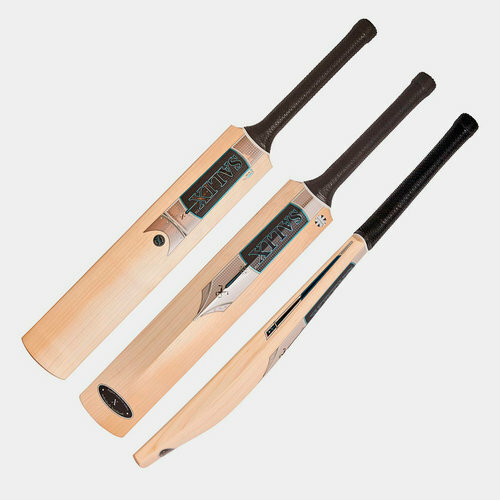 This is a very English shape but a complex high-performance bat, all encased in exquisite beaded copper labelling. The X equals both the origins and the future of English cricket bat making.